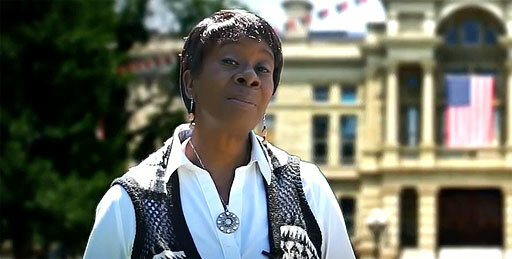 Wyoming Equality shares this disturbing encounter high school students had with state Sen. Lynn Hutchings. On Friday, February 1st, Wyoming Equality, the state’s only statewide LGBTQ civil rights organization, hosted its bi-annual Gay-Straight Alliance (GSA) Civics Day where students from GSA clubs across Wyoming are invited to learn about state government and civic engagement. Students from Central High School, accompanied by their club sponsor and high school teacher, went to visit their representative for their district, Senator Lynn Hutchings. The students wanted to discuss HB 230, Enhancing Quality Employment Law, and express their support for the bill. The legislation would prohibit "discriminatory practices based on sexual orientation or gender identity in employment practices." Meeting with the children in the gallery of the state legislature, Hutchings said she was unfamiliar with the bill’s language so the students shared that they wanted her support because the bill would protect the students from workplace discrimination based on sexual orientation and gender identity. It is our understanding that while the state legislature’s anti-harassment policy mentions no protected classes, including sexual orientation and gender identity, Senator Hutchings behavior was unacceptable and inexcusable. Fourteen- and fifteen-year old high school students wishing to engage with the legislative process should ​not​ have been confronted with the comments made by Senator Hutchings. ​Those students, some of which identify as LGBTQ, were deeply hurt and disturbed that they were compared to acts of beastiality and pedophilia. The students’ sentiment was exacerbated especially after Senator Hutchings hypothetically recounted the idea of sexually engaging with children then physically engaged with the students. At Wyoming Equality, we are horrified. On GSA Civics Day, we expect students to be challenged and engage in lively civic dialogue. This is not what transpired. As guaranteed by the First Amendment, Senator Hutchings may express her beliefs and views however she wishes, but her behavior is not what we expect of adults in the workplace, and we expect even more from a Wyoming elected official. The students spoke with several legislators that day. For the exception of the incident with Senator Hutchings, the students said all their interactions with legislators were civil and respectful no matter where the legislators stood on bills and issues.